Today’s guest is John Polanowicz, the Executive Vice President of Steward Health Care’s Hospital Services Group. Steward Health Care is a large, for-profit hospital system with a national presence. 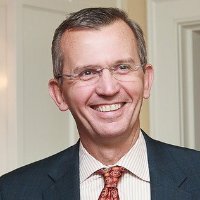 In this podcast we talk about John’s fascinating career, beginning with his time at the United States Military Academy at West Point, his tour as an Army aviation unit commander and Black Hawk pilot, and then on to his experiences as a hospital CEO, his service as the Secretary of the Executive Office of Health and Human Services for the State of Massachusetts, and finally his role today at Steward. We close on a discussion of leadership and John’s advice to early careerists. 0:20:39 what was the attraction of the CEO role? 0:32:16 should healthcare not be for-profit? 0:52:01 what scales well with growth? 0:53:49 how does Steward go about making acquisition choices? 0:55:22 what is the process of integrating a new facility? 1:02:09 what makes Steward so successful?